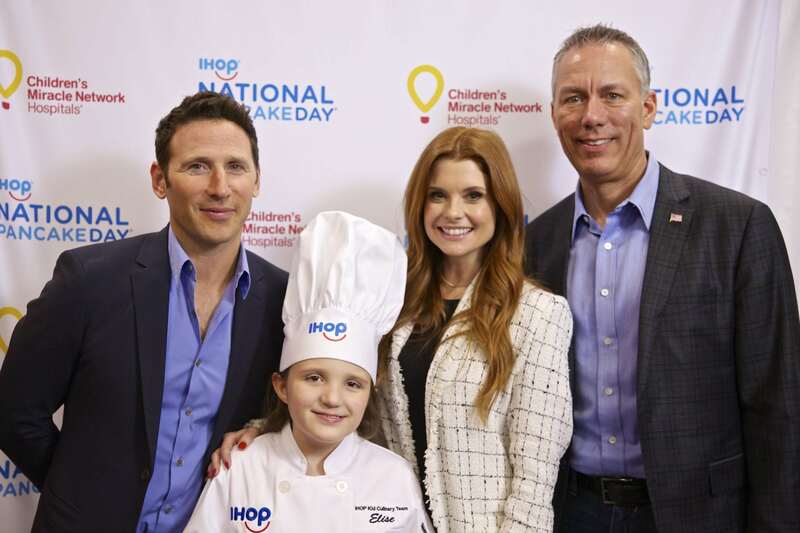 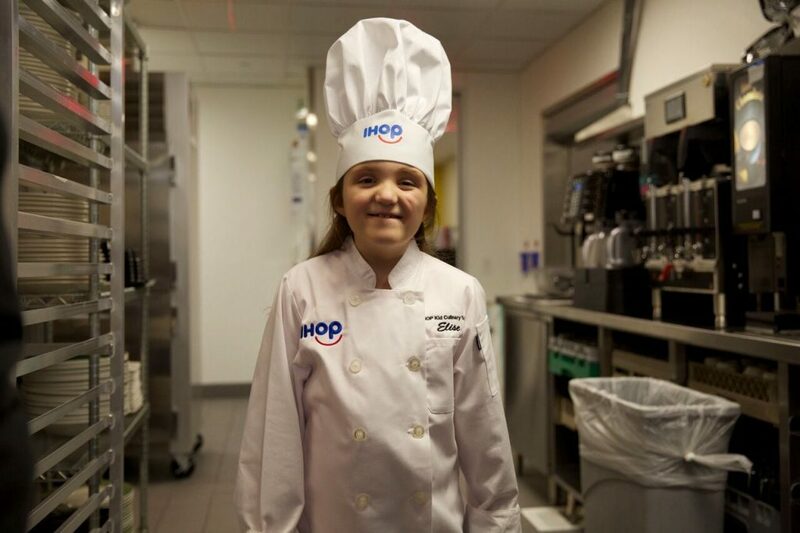 Meet IHOP National Pancake Day Culinary Kid Elise! 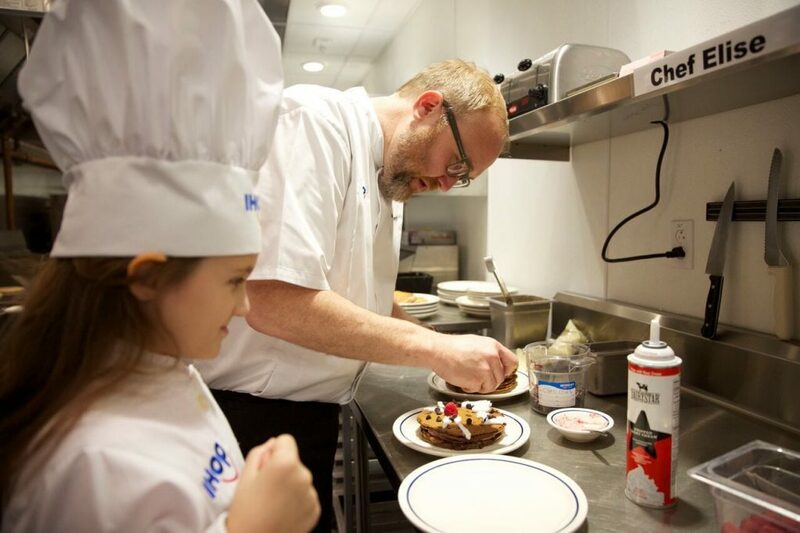 Elise suffers from a rare chromosome defect that has caused her to be hospitalized many times due to seven surgeries, multiple illnesses, and monitoring of her epilepsy. 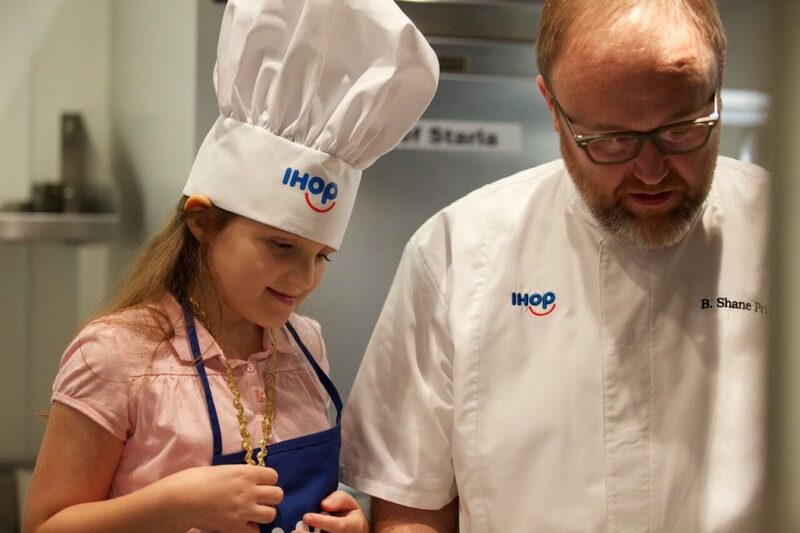 Inspired by her love for her old cat, Elise came up with a pancake that starts with two chocolate pancakes filled with a raspberry custard layer and then a cat face using whipped cream, chocolate chips, and chocolate ice cream. 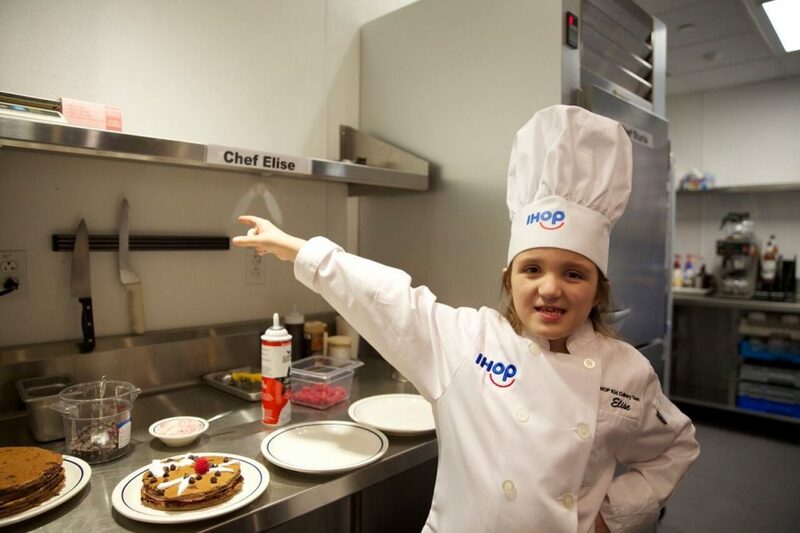 Previous post: Meet IHOP National Pancake Day Culinary Kid Sim!